FORT WORTH, Texas (Sept. 26, 2016) – The Davey O’Brien “Great 8” list for week four of the 2016 season is comprised of quarterbacks from three conferences, as the ACC and SEC have three members apiece, while the Pac-12 has a pair of selections. 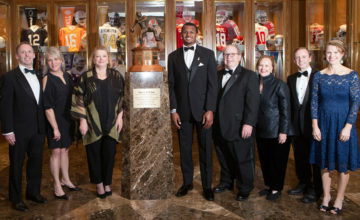 The eight honorees, as determined by voting from the award’s selection subcommittee, include: Joshua Dobbs of Tennessee, Louisville’s Lamar Jackson, Daniel Jones of Duke, Ole Miss’ Chad Kelly, Trevor Knight of Texas A&M, Colorado’s Steven Montez, Mitch Trubisky of North Carolina and Arizona State’s Manny Wilkins. Jackson is on the list for the fourth consecutive time this season. 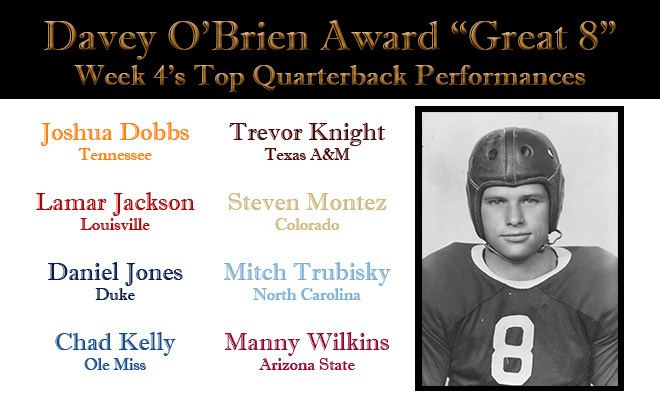 Meanwhile, Dobbs (Weeks 2 and 4) and Knight (Weeks 3 and 4) are multi-time honorees. 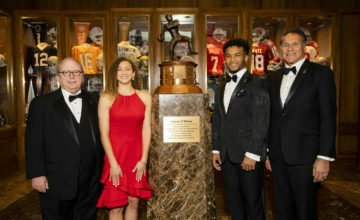 In addition, Montez became the second Colorado Buffalo signal caller to be honored this season. Led Tennessee back from a 21-3 halftime deficit to a 38-28 win over No. 19 Florida; amassed 399 yards of offense (319 passing) and five touchdowns (four passing). Accounted for seven touchdowns by completing 24 of 44 passes for 417 yards (5 TDs, 1 INT) and rushing 12 times for 62 yards and two scores in a 59-28 win over Marshall. Daniel Jones, Duke, R-Fr., 6-5, 210, Charlotte, N.C. Led Duke to a 38-35 upset win at Notre Dame, turning aside a 14-0 deficit by connecting on 24 of 32 pass attempts for 290 yards and three touchdowns (one interception). Chad Kelly, Ole Miss, Sr., 6-2, 224, Buffalo, N.Y.
Was 18-for-24 passing for 282 yards and two scores and ran for 53 yards and a touchdown on four carries in just three quarters of action in a 45-14 rout of No. 12 Georgia. Rushed for a game-high 157 yards on 10 carries, including a pair of rushing touchdowns, and threw for 225 yards and two scores in a 45-24 triumph over 17th-ranked Arkansas. Became first player in Colorado history to throw for 300 yards (23-for-32, 333 yards, 3 TDs, 2 INTs) and rush for 100 yards (21 carries, 135 yards, 1 TD) during a 41-38 upset at Oregon. 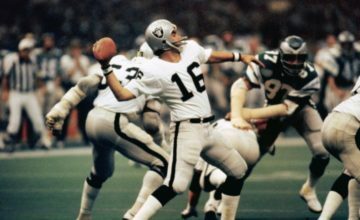 Threw the game-winning touchdown pass with two seconds remaining to cap a 35-of-46 night (453 yards, five touchdowns, no interceptions) in a 37-36 win over Pittsburgh. Manny Wilkins, Arizona State, So., 6-3, 197, Novato, Calif. Helped Arizona State improve to 4-0 by accounting for four touchdowns; tallied three scores and a team-high 72 yards on the ground and completed 21 of 30 passes for 290 yards and a TD.